It's impossible to overestimate the importance of the draft phase in the professional Dota. It's not unusual for the winner to be decided here, and watching the battle of wits between the world's best drafters can be just as exciting as the gameplay itself. Following The Chongqing Major Final, Virtus.pro coach ArsZeeqq answered some of the hottest questions regarding the draft phase in extreme detail. - First things first - some general questions. What are you looking for when you are building a draft – heroes' individual strengths (Roshan, towers, lanes, control) or optimal synergy between certain heroes and compositions (for example PA+Magnus)? - Not everything is as simple as it may look. 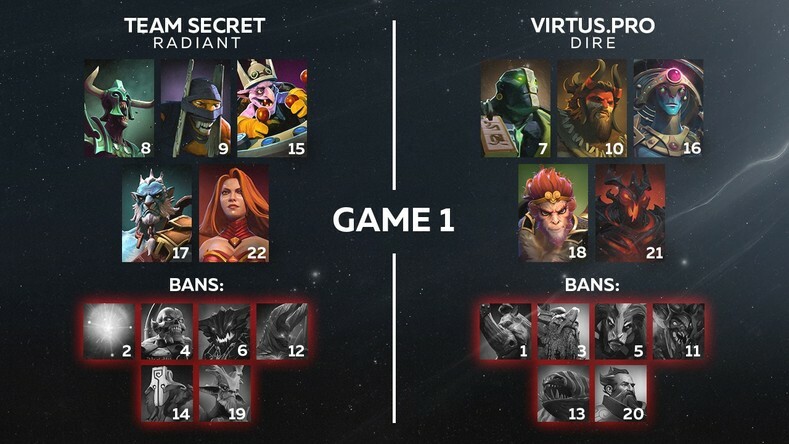 Right now, everything you can draft depends on every ban, the ban sequence, draft order etc. Building comps with good synergy and looking out for tower pushing potential or Roshan control – that's simply given. All these criteria are considered by default. - After the match vs LGD, you noted that picking Beastmaster in double-pick would've been a mistake. Can you expand on that? - Because he's easily countered by a certain position 3 or Chen. Simple as that. - Imagine you have one free first pick – all heroes are open. Is there some versatile hero (in this patch) you'll always choose, or is it too dependent on the enemy? - There is no absolutely versatile hero as everything always depends on which heroes get banned. Sometimes you even want to set up a trap for the opponent with your first pick – as they answer to it, you close it with the 10th pick. - We picked Oracle and Shadow Fiend on the first map. In this season, Oracle was sitting at 1 win, 2 losses (before the final); SF – 0 picks. Why these heroes, exactly? - I wasn't quite sure about Oracle myself, but it always provides good laning and pressures Timber. We also considered picking Lion but decided against it. Considering SF – it's a harder to counter hero. He'll always be useful, especially paired with Earth Spirit with his 24/7 ganks on mid. And he's also solid against PL! - What was the perfect lane assignment during the draft phase? SF vs Timber? MK vs PL? - Not staying against Undying with a three-man would've been the perfect lane assignment, but we still did that for some reason. - How did Puppey manage to force that three-man? - He didn't, we just made a blatant mistake of doing that. The game would've gone completely differently if we allowed MK to farm levels and RodjER to show his SF on mid. - Was getting Shadowraze on level 1 a misclick? - Shadowraze on level one is the bread and butter of every respectable SF against counterpicks like Lina and others. - Is Pugna our best hero against OD? Considering his value as a counterpick and as a link in the composition. - Pugna is always the best hero to pick against OD early on. Its con, though, is that the opponent can pick the heroes that counter it afterwards, which was exactly what happened. 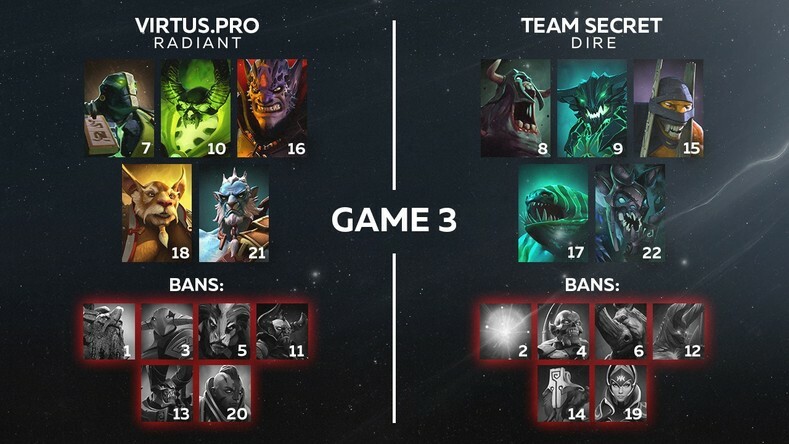 OD has many counterpicks that fit our playstyle, but only Pugna can be picked in the first phase. - You were expecting support-Luna, judging from the last ban. Noticed it in scrims? - We've been discussing Luna as a position 4 since the bootcamp, so there was nothing unusual about this pick. - Solo played a total of three heroes before the final – Sven, Lich, KotL. 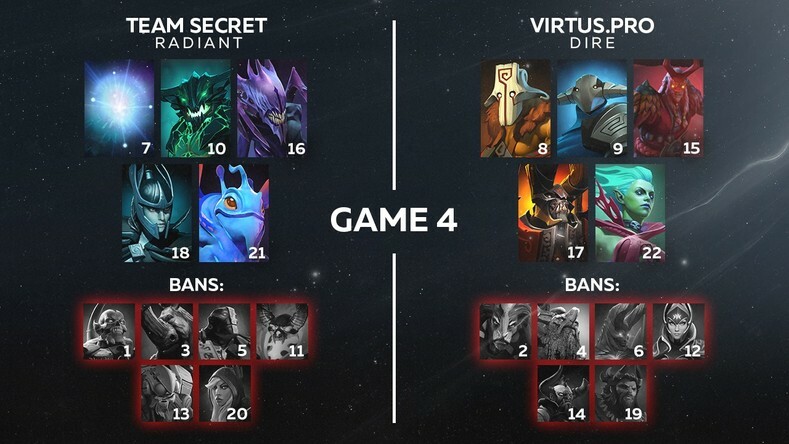 Lich was banned, Sven - picked by the opponent; what prevented KotL from being picked? Why did you choose Lion? Does the team have a problem with a limited hero pool for the position 5? - KotL is too greedy of a hero. Truth be told, I kept considering it and bringing it up, but ultimately we've decided against it. Lion is very good at setting up kills, especially together with Tusk or Earth Spirit. There weren't any problems with the hero pool, the problem was in our playstyle which Puppey managed to counter in the grand final. - Your first phase opener was almost identical to the last map's – ES instead of Tusk, and Pugna. Did the second map's problem lie in execution and not in the draft? - Absolutely. Second map's draft was great, but the execution was way off. Interestingly, the third map was the complete opposite: the draft was a dumpster fire, but we won it! - What was the plan for this map? Survive Visage's and OD's early game aggression and drag the game into late? - The plan was that PL sooner or later becomes unbeatable. That was a very naive outlook from our side. - Have you considered banning OD in the first stage? Instead of TB, for instance. 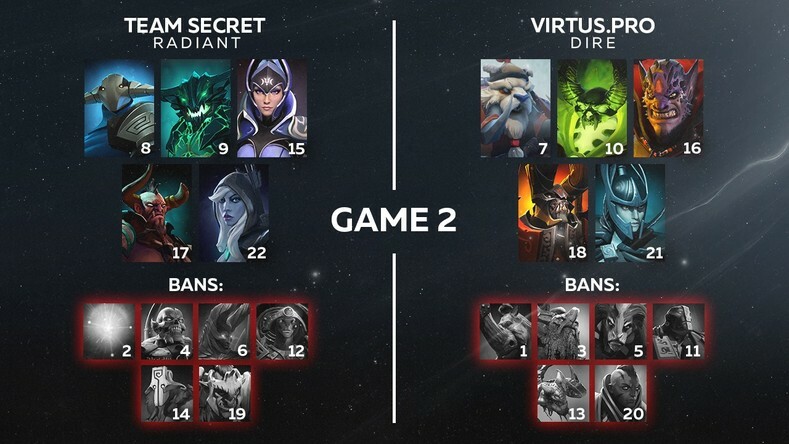 We've already defeated Team Secret with TB, and Puppey doesn't always take this hero in the first phase – he sometimes leaves it for the second one. - That was the whole point. We had this OD in our sights for the entire grand-final, but it didn't work out. - Puppey picked OD in the first phase twice in a row before that. Were you also considering taking some sort of a counterpick beforehand just to make sure? - There were plenty of counterpicks, but the execution could've been better. - Why did you let them have Wisp? - Giving Wisp away is absolutely fine. The opponent having the first pick means they won't have a counterpick on mid. Luna may pose some danger paired with Wisp, but even Luna has trouble if you have a lastpick on mid. - Many consider Grimstroke to be one of the best Wisp counters. Is that true, and if yes, why didn't you pick it in the first stage? - It's true that Grimstroke is pretty good against Wisp, but having a certain opening in the first phase is more important than having Grimstroke vs Wisp. - You've made it clear that the final was lost due to our own mistakes, including some during the draft phase. Can you outline some of the key moments in which Puppey outplayed you? - I wouldn't say Puppey won the draft battle. The second and the fourth games had drafts that favored us 60 to 40. The main point was that Puppey defeated us using a counter-meta: we have always picked heroes like Earth Spirit and Tusk and forced kills on three-lane. Our goal was to get kills and trades, but Puppey picked nigh-unkillable sidelane heroes. That was the biggest problem. Plus, we did make a ton of mistakes in our gameplay, but there's no point talking about them as there are always replays.